In our country we celebrate Thanksgiving at the end of November but actually there is a spirit of gratitude in the air throughout the month! What is it that arouses gratitude in our hearts, not unlike the spirit of Christmas that arises long before December 25th? A 14th century monk wrote that we only need a scrap of time to move toward God and that maybe our ways of coming toward God some days are all scraps! (Cloud of Unknowing) Couple that idea with Meister Eckhart’s “If the only prayer we ever offer is ‘thank you’ that is enough!” And we can understand why the spirit of gratitude already felt this November is appropriate all year long! There are so many reasons why we can be grateful, day in and day out! After hours of practicing this song in which the first line is repeated at least a dozen times, the message and the melody stick to one’s mind—day and night! “I thank you God for most this amazing day. . .” Day after day, year after year, we have been recipients of amazing gifts, amazing people, amazing happenings, amazing revelations from an amazing God! How can we stop from singing? From being grateful? Happy thanksgiving, today and forever! Are you hungry for hope? I recommend you sit near some young green beans plants. 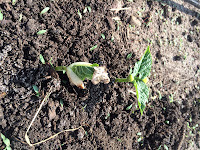 It’s a wonder in early summer… one morning the beans are barely poking through the ground, and by the end of the day they’ve grown 3 inches. I’m not exaggerating! I’ve often thought it would be fun to position a camera with a timer by the beans. It would be thrilling to watch a day’s worth of photos of the beans growing! They are strong, persistent, determined, and eager. 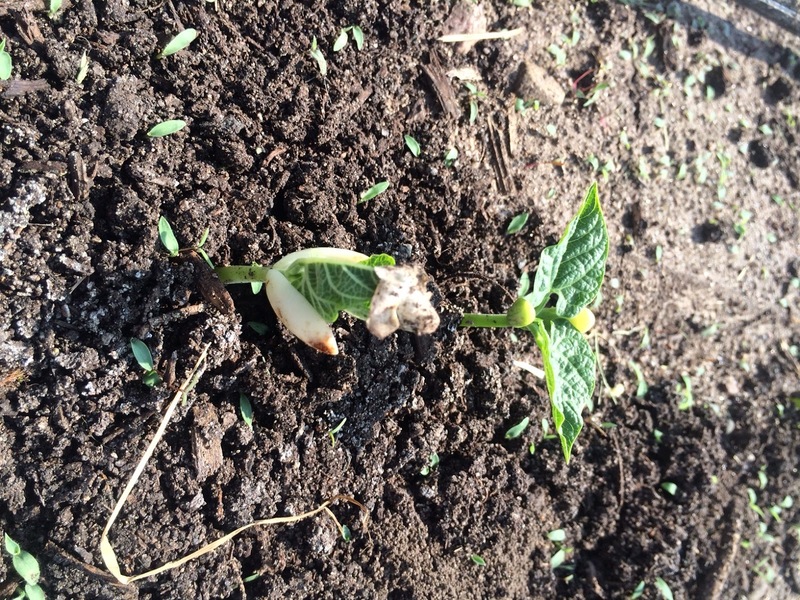 Now that it’s early November, the bean plants have done all they are going to do for the year: grown, produced endless fruit, fed the soil with nitrogen, dried up and been plowed under. Yet their spiritual lessons remain with us. Are you hungry for hope? Sometimes I need to see other people’s strength and persistence to remember my own. And sometimes I need to work as part of a determined and eager team to re-energize my own potential. As I dream of our next garden season at the Common Ground Garden, beans and all, I am grateful and thrilled for our communal determination to continue the Benedictine tradition of sustainable agriculture in Central Minnesota. Thursday, November 13th is Give to the Max Day, an opportunity for donors to give on-line to their favorite non-profits. This year the Sisters of the Order of Saint Benedict are raising funds for the Common Ground Garden. Donated funds will help us upgrade the electrical connection to our barn, expand cool storage space, improve working and education space, and dream toward a winter greenhouse. Thank you for your support and for sharing our hope. Nearly six weeks ago I was one of the Nuns on the Bus with Sister Simone Campbell of Network, the Catholic Social Justice Lobby, promoting our right and privilege to vote. Vote in what? The 2014 Mid-term Elections. Have you voted yet? Today is the day! It was necessary for us nuns to run around MN and promote this election because too few people are voting - thus ,too few people are making political decisions. And too few people contribute to campaigns and the “big bucks” are taking over. So I urge, encourage, challenge you to exercise your right and enjoy your privilege to VOTE TODAY! Check out this crazy, delightful YouTube . We're not telling you who to vote for but asking, as the Catholic bishops have urged, to go to the polls and vote for the people whom you believe will do the best job.